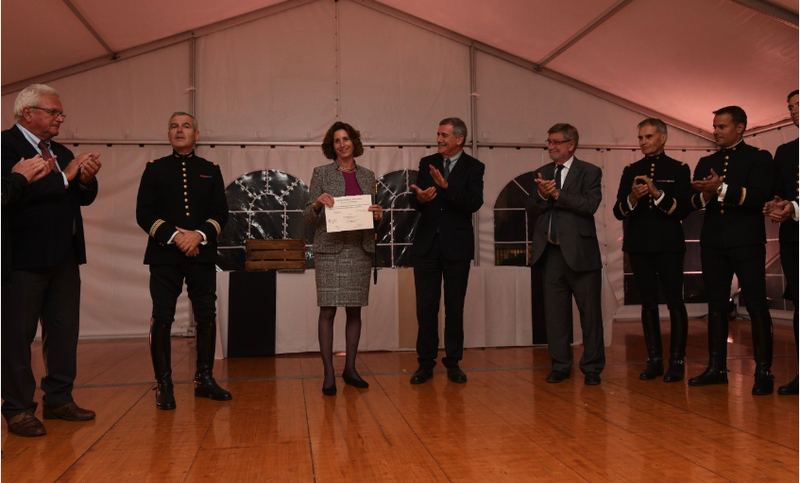 The honor was bestowed on Bettina while in France attending a colloquia at the French National School of Equitation in Saumur, home of the Cadre Noir. While there, she also coached riders at the Cadre Noir and at Allege-Ideal. Bettina is only the second American to receive this honor. The other is George Morris. She is also only the second woman to be named Honorary Écuyer. The other is French Olympic dressage rider Margit Otto-Crépin. Bettina was honored not only for her skill and talent as a rider and trainer but also for her years of dedication in promoting the French system of classical riding. Read more about the honorary award and see the photos by clicking here. Please consider donating to her organization: THE ASSOCIATION FOR THE PROMOTION OF THE ART OF HORSEMANSHIP IN AMERICA a registered 501 (3) c (pending) corporation. The Association for the Promotion of the Art of Horsemanship in America (APAHA) is dedicated to supporting educational opportunities that advance horsemanship as an art form in America. By providing opportunities for professional riding teachers and trainers to learn on trained horses, APAHA is working to ensure that horsemanship as an art form is preserved for future generations. Visit apaha.us for more information on this amazing organization. Lynndee Kemmet grew up in the foothills of the Rocky Mountains in Southern Colorado where Western riding dominated. Her first instructors were cowboy trainers. When she wasn’t spending her days riding the prairie lands, Lynndee, active in the 4-H Horse Club, kept busy showing in Western riding and competing in gymkhanas. After college, she was introduced to Thoroughbreds while working as an exercise rider and groom for race horses at a Thoroughbred breeding and training facility in Massachusetts. It was during her time in the East that Lynndee was also introduced to the sports of show jumping and eventing and made the switch from Western riding. She left the East and headed back West to finish graduate school and soon after began her career as journalist. She worked as a daily news reporter for Gannett in California while also launching her career as an equestrian sports journalist. It was also during her time in California that she began training in eventing. It was her coach, Allen Thompson, who, believing that dressage was the key to success in eventing, pushed her toward the study of dressage. After several years in California, Lynndee returned to the East and settled in New York with the intention of continuing her training in eventing. But then one day, she was interviewing Bettina Drummond for an article. At one point during the interview the conversation turned to problems that Lynndee was having with her Thoroughbred mare. Bettina offered to drop by and help sort out the mare. One lesson with Bettina was all it took to set Lynndee on a new direction in her career as a rider and trainer. That first encounter has resulted in a nearly two decade friendship and Lynndee gratefully acknowledges the tremendous generosity of Bettina in providing amazing opportunities over the years for her to advance her education as a rider and trainer. In addition to continuing her dressage education, Lynndee is also busy developing a breeding program at her farms in New York. The farm are focused on producing Lusitano crosses for adult amateurs. Lynndee is available for training at Windhorse International. Ship-in's are welcome for training with Lynndee. Please ask for details.